As I gaze at the photographs behind the glass, I feel a sense of loss, a deep sadness, and a hint of mystery. I don’t pretend to be able to understand or interpret the work of Akiko Takizawa, a Japanese artist based in London, but I can say with truth that her work affects me. Takizawa’s current exhibition, Over the Parched Field, showcases a selection of her photographs since 2006, including new work made especially for the exhibition. Her latest series of photographs were taken in a volcanic mountain area, Osorezan in Aomori, where people go to talk to their deceased family members through a medium. Aomori is in the Tohoku area (affected last March by the earthquake and tsunami disaster) where local people live in a traditional close-knit society to survive in the severe natural environment. 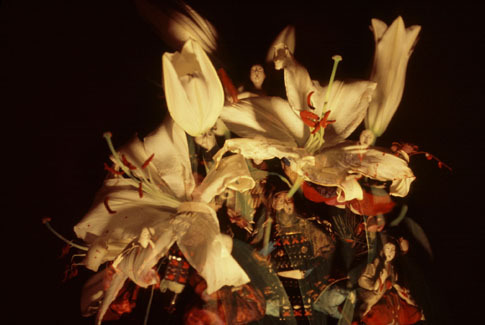 Takizawa grew up in a culture with a blurred border between life and death. Since she was young, she felt as if she was observing the world through the eyes of a third person. This sense of detachment to her surroundings adds an intriguing factor to the choice of the motifs in her works. Takizawa says “I feel that my camera acts as an aerial – to detect signals carrying urgent messages”. Some of her images capture the traditional and rapidly disappearing Japanese attitudes towards families and communities. One can see the distinctive switch to a more positive tone in the atmosphere she observes. 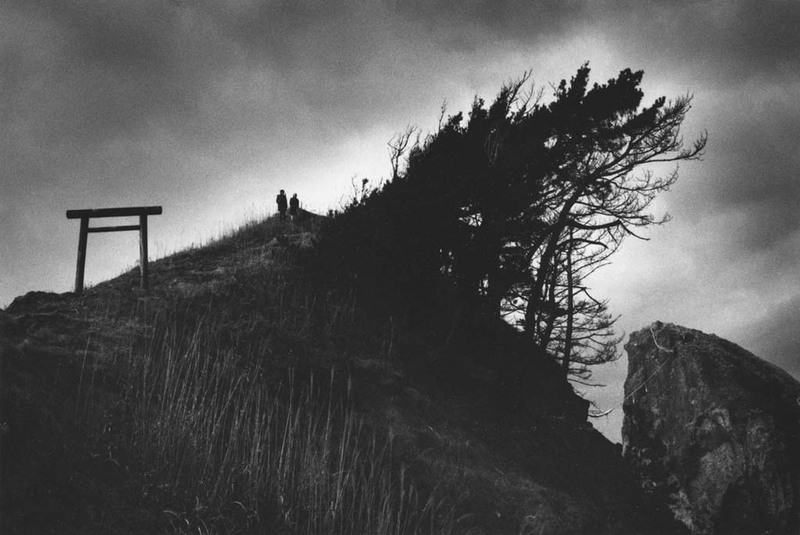 Takizawa says that Osorezan (which means ‘Fear Mountain’) is one of the few places where her soul feels purely happy, even though the place sharpens her sense of isolation and solitude. I suppose, given how the artist feels about her subject matter, it’s no surprise that these photographs make a huge impact on the viewer. I confess, there is one photograph in the collection that I cannot even quite bring myself to look at. It’s not that it’s gruesome in any way, just that it really gets to me. But, in my opinion, these photographs are doing exactly what they should – provoking a reaction. Tonight’s private view of the exhibition drew in an eclectic crowd, and it was quite fascinating to hear people’s reactions to the work. For the most part, the praise was flowing. This is certainly an exhibition worth checking out, and an artist worth keeping a close eye on. I doubt this will be the last we hear of Akiko Takizawa. Over the Parched Field by Akiko Takizawa will be at the Japan House Gallery until 1st March. The Daiwa Anglo-Japanese Foundation is open 9.30-17.00, and is free to enter. For more information, please visit their website.